Small - $33.99 Medium - $33.99 Large - $46.99 Only 7 left! So who's up for a game of hide the soul? Any takers? One would assume that since she's a doll, she probably has a line of children waiting to play with her. Um, that actually couldn't be further from the truth. This doll is really hard up for playmates, like really desperate. None of the kids want anything to do with with this deadly plaything because she has a small problem: she has an obsession with voodoo and stealing the souls of children. We're not trying to minimize her passion for soul-snatching; we are well aware that it's a HUGE issue. Just the other day, we had to stop the toy from summoning the voodoo gods in an attempt to steal poor little Darla's body and gain human form. Yikes, what a fiasco! It took two teacher's aides and the school principal to pull the killer doll off the student! On the other hand, it's also just a doll and an exciting doll at that. Most toys like this just wet their pants or make crying sounds, but this one-of-a-kind plaything will engage in interactive play. If you think your preschooler can fend off the demonic doll's violent outbursts, this toy will make the perfect gift (just think of all the free time you'll get.) 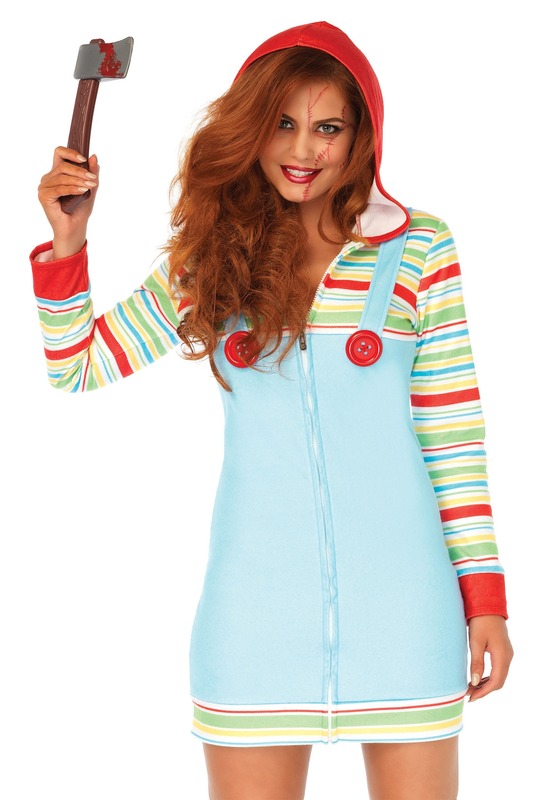 However, if you want to play it safe, you can just dress in this cozy killer doll costume and YOU can be the one to play with your youngster. Sure, you'll have less free time but you'll be at ease knowing that your child's soul is nice and safe!